Yes, it’s true. Some Granges are more successful than others. These are the Granges that host numerous events, are a centerpiece of their community, and get lots of solid news coverage from the local media. What is the formula that these Granges use to become successful? Time and Investment: To make real and positive changes in a Grange takes commitment from its membership. In many cases, this means more than just proclaiming support - it often means support through volunteerism and an investment of time. Granges rely on volunteers and the time that each person can commit to the organization. It is important to find a good mix that fits your Grange - so that members do not become run down or burnt out. Delegating responsibilities is important, as is ensuring that every member is involved who wishes to contribute. Solid Communications: Granges must continually work to communicate with the general public in a manner that brings them positive press, community involvement, and support for new programs as well as their overall mission, goals and objectives. When looking for a way to promote your Grange - start with your own membership. Internal Grange communications are just as important as external communications. Maximize the communications methods that are easily available to all Granges, such as hanging posters, utilizing Social Media (Facebook, Twitter, etc. 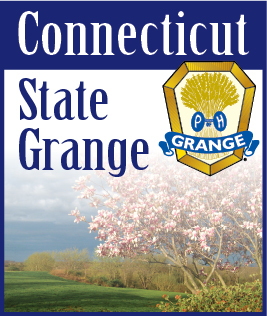 ), having a Grange website, mailing postcards and letters, and even picking up the telephone.